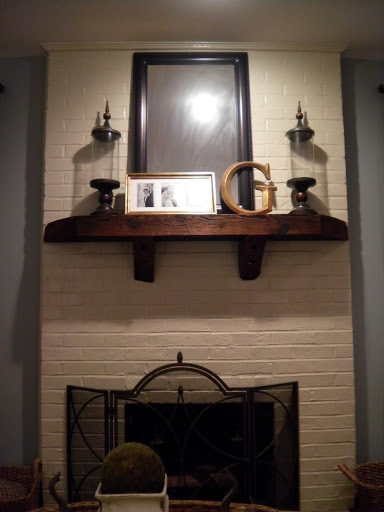 As you may be able to tell by reading this blog, I constantly have projects going on in our house. Currently, all of which are not at post-worthy status (yet). 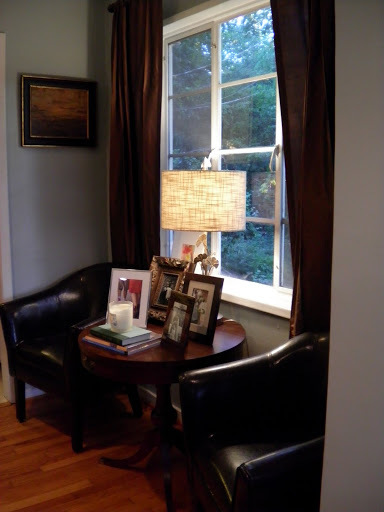 And as these projects continue to grow, each room of our house gets a million tiny makeovers. While other rooms are in progress, I thought this would be a great opportunity to catch you up on our living room in it’s current state. Here are a few photos. The wall with the sofa, the fireplace opposite of it, and the extra seating nook by the window are the main areas of our living room. 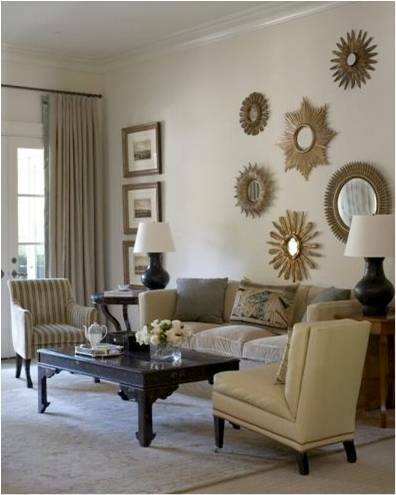 My goal with this room was to keep it neutral but interesting, polished and neat but lived in and cozy. And so far, I think we’re getting there. 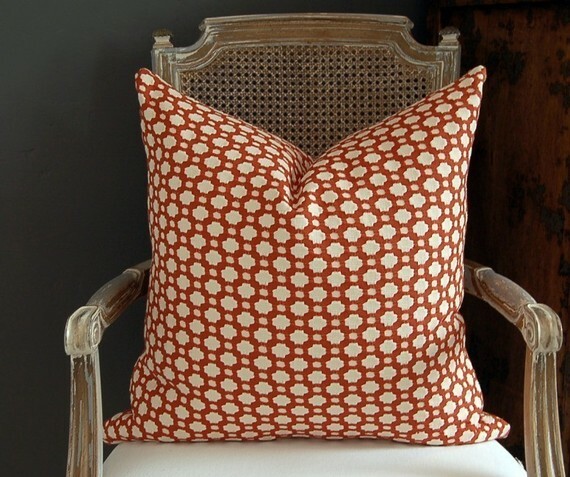 One of the easiest ways to make a room feel cozy is with fabric. 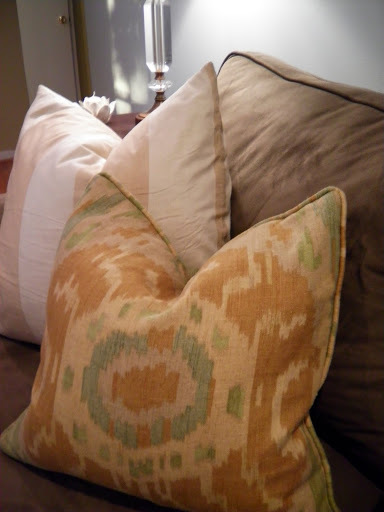 These Kravet ikat throw pillows are my favorite! 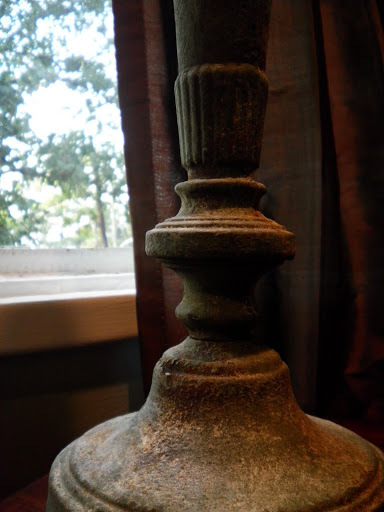 Vintage pieces like these super old and naturally patina-ed iron candlesticks I snagged at a yardsale for next to nothing keep the room feeling used and lived in. And probably my favorite part of our living room is the seagrass tray on top of our cocktail ottoman that holds some of our favorite tabletop books (Greek Islands, Esquire’s The Meaning of Life, and a vintage Chanel Look Book is found at a THRIFT STORE!). 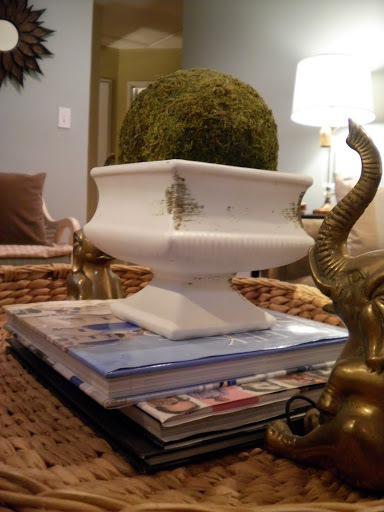 On top of the books is one of my many McCoy pieces and our brass elephant bookends to show off our college pride. 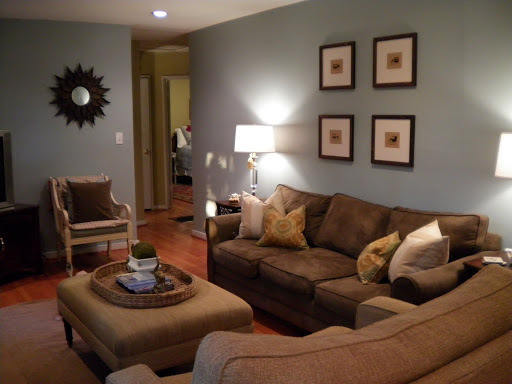 So that gives you the gist of our living room! It honestly is the room where we LIVE…we use it the most out of all the room in our house and that’s why it was important for me that we love being in it. I’d love to hear your thoughts and suggestions (because it’s always evolving).